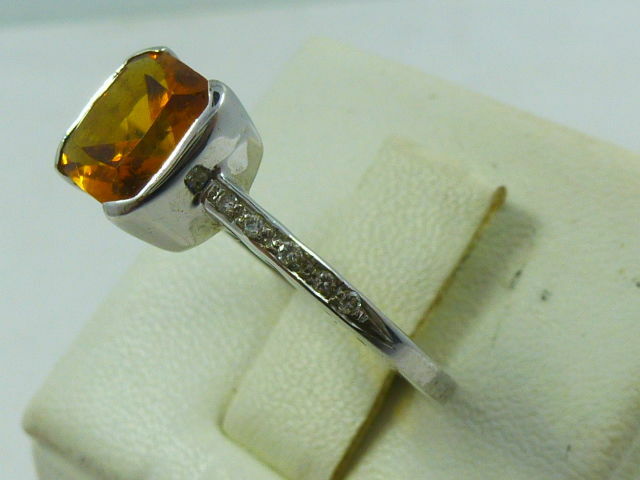 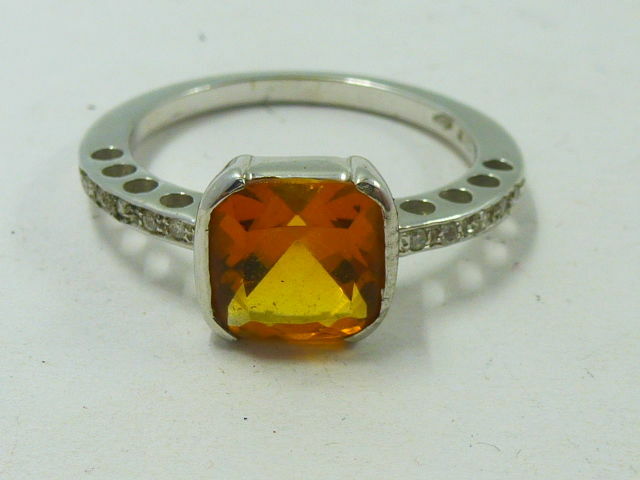 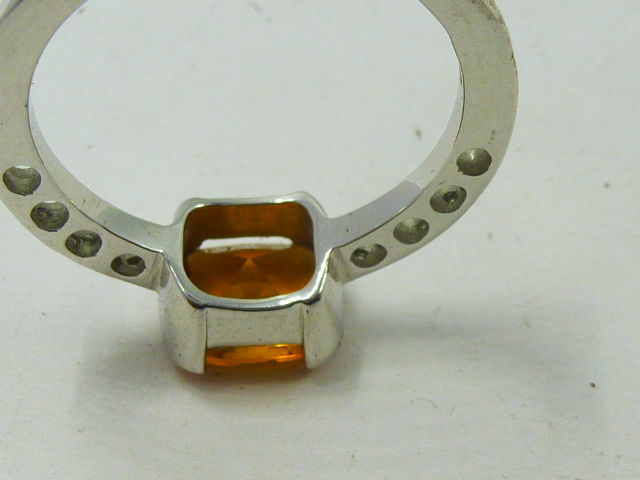 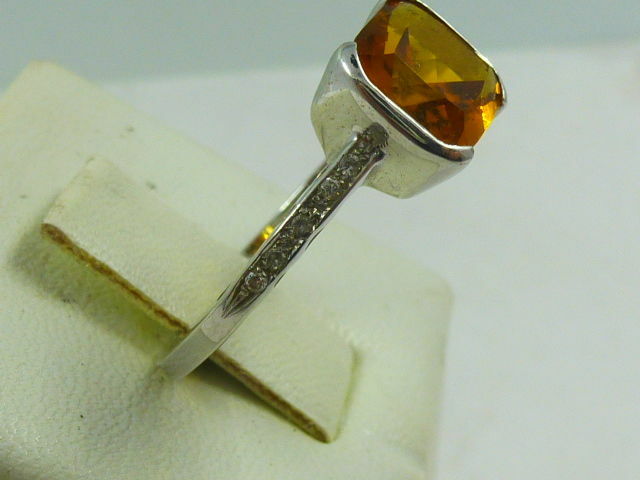 At the top there is a brown citrine topaz (Madeira) weighing 1.50 ct, carré cut. 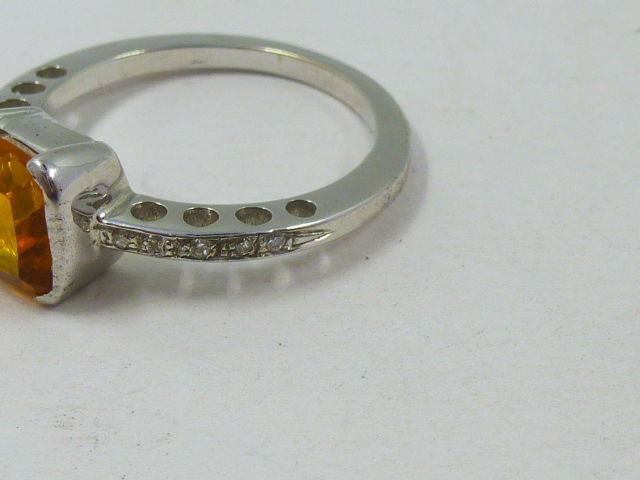 At the side there are two sets of 5 diamonds each, totalling 10 diamonds, brilliant cut, for a total of 0.15 ct.
On the side of the shank, level with the diamonds, the craftsman has made four holes to allow extra light to reach the stones. 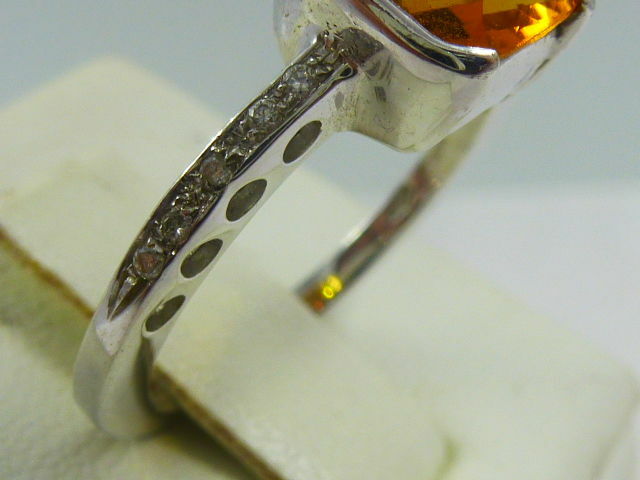 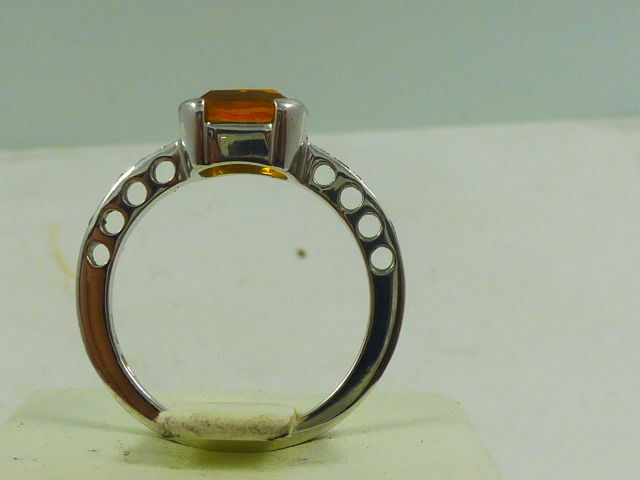 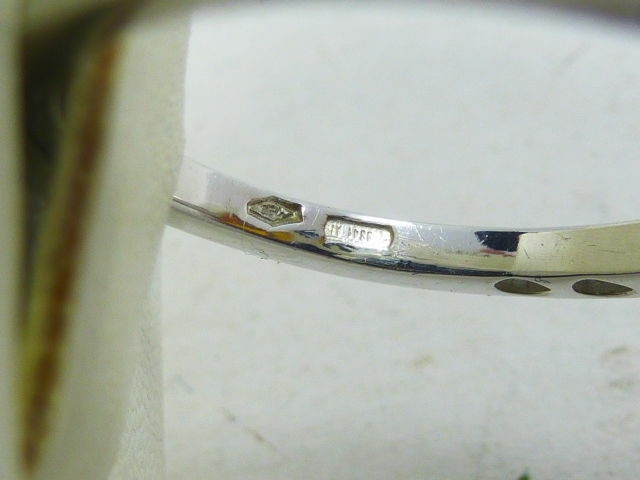 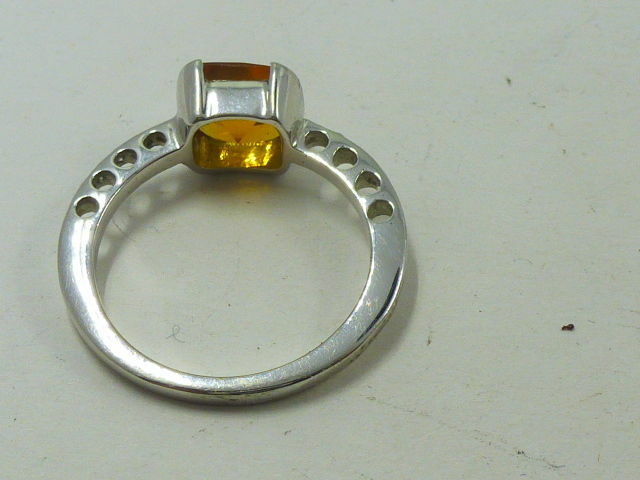 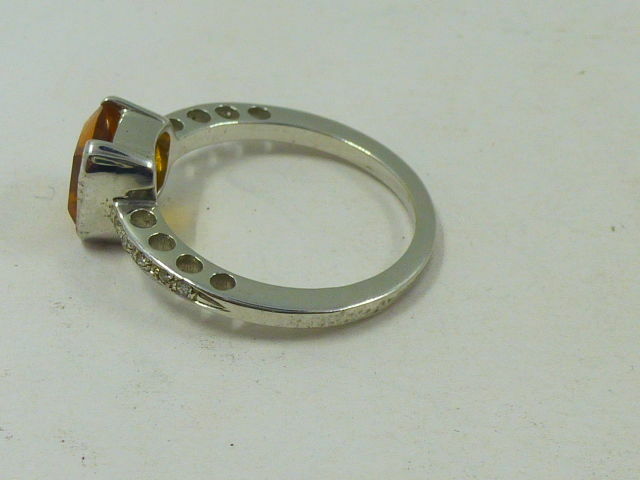 Ring weight: 4 g, ring size: 15 (55 EU). 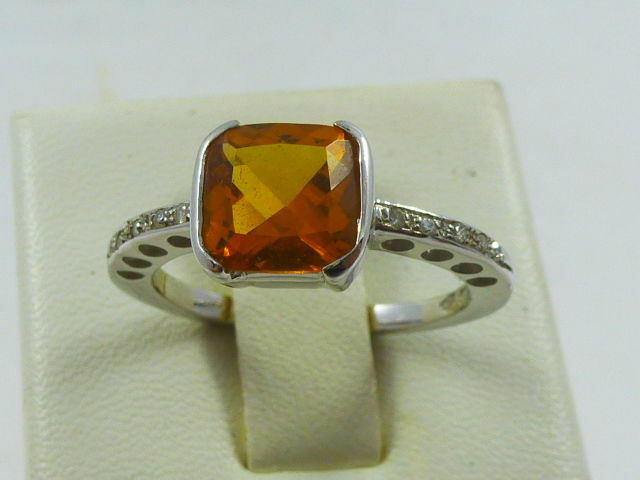 Insured shipment via international courier with tracking.